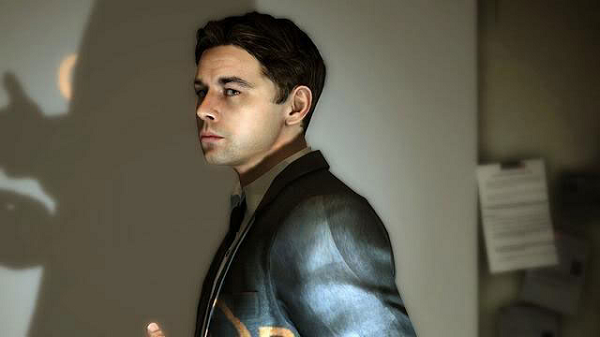 Heavy Rain’s promise of “interactive drama” sure sounded interesting to a gamer like me, who appreciates great story and characters above anything else in a game. I knew that the gameplay would consist mostly of quick-time events, a much-hated feature of modern gaming, but I knew they could work well in such a setting. And they do. It’s not a conventional game and should not be expected to be such. It’s mostly about decision-making and quick reactions, but, at the end, the outcome depends fully on your actions, just like any other game. The many different endings available and the fact that any misstep from your part can change things drastically are the main draws of the game. It reminds of a “Choose Your Own Adventure” book – or rather, movie. 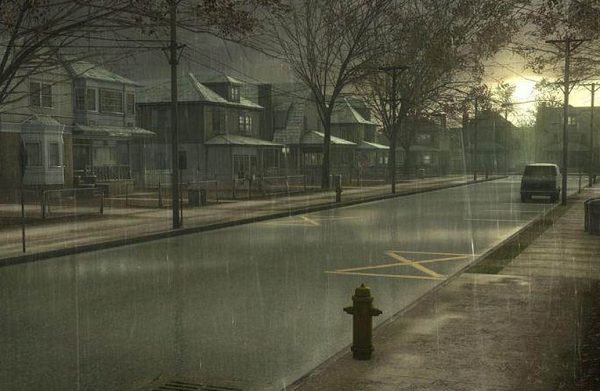 Above all, Heavy Rain is a unique experience – even that fact alone sets it apart from most modern games that tend to borrow from and influence one another heavily. The whole setting and the way events unfold heavily remind of a blockbuster thriller movie, and that is an effect the developers have deliberately aimed for. Despite the fact that there are some details that don’t make much sense, most of the time the suspension of disbelief works fine, and the game often has you at the edge of your seat, anticipating what will happen next. The quick-time events, of course, also contribute to the feeling of pressure and anxiety, which all the more connects you to the characters you control on your screen, as they’re desperately trying to prevent another murder of the Origami Killer, but are running out of time. Heavy Rain play exactly like a movie, a thriller movie, to be precise. Tension is in the air pretty much throughout the game, or at least past the serene, sunny opening. The story is quite top-notch (even if there are some details that are hard to explain), with the main questions still hanging up until the end. It is a story of local scale, it concerns only a number of people in Philadelphia directly. For anyone but them, their failure would simply mean more negative news stories. Thus, you should not expect anything grand, certainly nothing like saving the world in a Final Fantasy, or even Uncharted‘s tales of stopping a villain that is looking to obtain a great source of power. 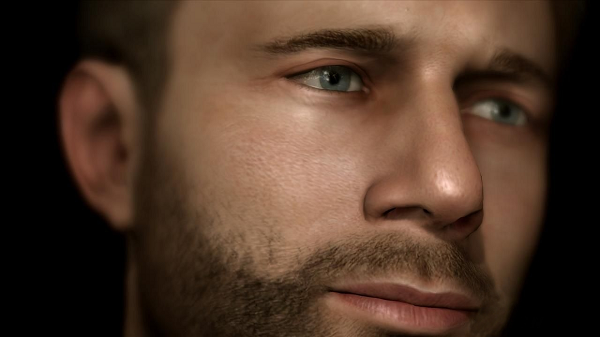 Heavy Rain is mostly an emotional story, you truly connect to the characters, you can see through their eyes and contemplate the important decisions they often need to make. And, as such, it can really bring out emotions from the player that few other games can achieve to. It’s the story of a murderer. More precisely, four people trying to stop that murderer from claiming another victim. The ruthless Origami Killer is kidnapping and subsequently claiming the lives of young boys, and the four main characters are the only ones who can save his latest victim before it’s too late. You’ll get to play as each of them in parts of the game, switching to another character as you complete a scene with one. It’s all in your hands – you can have them help each other when possible, you can have each go his/her own way, but you ultimately need to save young Shaun Mars. Once the setting is laid out before you, how the story develops is pretty much all up to you. There are many different scenarios possible, and your decisions and quick reactions will determine which one path the story will go through. While there are many variations possible, the main plotline is clear, and I have a rather high opinion of it. Aside from a few weaker points, it achieves its intended goals easily, keeping the player on edge like only the very best thriller movies can. I also played The Taxidermist DLC scene, taking place between the Origami Killer’s murders. It’s only about half an hour long and you play as the journalist, Madison. It’s thrilling, much in tune with the game, although more gruesome in nature, specifically in some of the endings which are possible (some of them bad). Pretty much the whole cast of Heavy Rain is quite cool, not just the four main characters, and it is the strongest point of the game, along with the melancholic atmosphere. Of course, I need to start with the mains first. 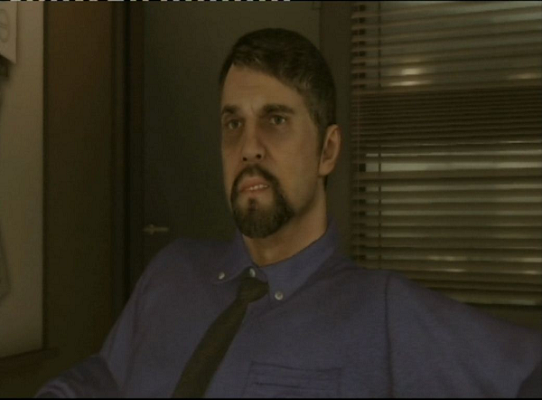 Ethan Mars is the father whose son Shaun has been kidnapped by the Origami Killer. Naturally, he has the most at stake here and that is reflected by his actions. An architect by profession, he’s a brave man, if driven to it by the circumstances. He’ll not stop at anything to find more clues regarding his boy, he’s not afraid to play the killer’s little game despite seemingly overwhelming odds at times. Still, he is quite human, with numerous faults, and, depending on just how far the player is willing to go, they can become quite visible and affect the story and its conclusion. The FBI agent who is investigating the case, Norman Jayden, starts off a bit annoying with his high-tech gizmo and feeling of superiority over the local police, but he grows on you as the story unfolds. Norman’s got his own problems to solve, and sometimes they interfere with his job. But the player can help him with those. 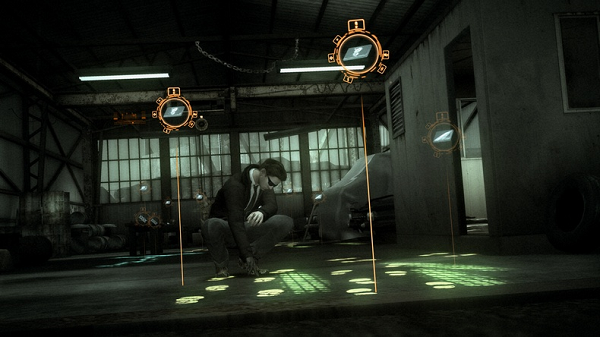 Using his analytical mind to examine the evidence he’s managed to gather, he holds the key to revealing both Shaun’s location and who the killer is. His dynamics with the local police’s Lieutenant Carter Blake are quite fascinating, the two have to confront criminals several times, and it’s in Jayden’s hands to play the “good cop” or just let Blake go crazy with his violent ways of getting information. Blake has got to be my favourite character in the game, probably because a lot of aspects of the mains are left up to the player, through the actions within the player’s control, while Blake is an NPC, his actions entirely pre-determined. He is a cop who is consumed by his job, he is determined to find the Origami Killer and put an end to his murders. The police department is taking a lot of heat from the media because of their inability to catch the killer for a few years already, numerous kids having lost their lives in that period. And that is also getting to Blake, he’s often jumping to conclusions regarding who the killer could be, and willing to arrest first and find decisive evidence later. His methods contradict Jayden’s, and that’s why the two don’t see eye-to-eye very often at all. Blake also looks a bit like Al Pacino. Detective Scott Shelby is an aging private investigator, also on the trail of the killer. He talks to the parents of the victims, and tries to gather information and evidence from them that will help him solve the case. Suffering from asthma in a really bad weather is taking its toll on him, he has to use his inhaler occasionally. But once he’s after a suspect, or when he needs to help somebody, his ailment won’t stop him from getting to the bottom of the situation and resolving it successfully. The last main character the player gets to control is Madison Paige, a journalist also investigating the Origami Killer case. She finds her own clues and follows the trails she’s discovered. Being an attractive woman (though I wasn’t a big fan of her character model, personally), she’s not afraid to use her charms if it’ll help her gather more relevant information. The Origami Killer is practically an enigma. The player’s goal is to ultimately find out who it is. The initial information is that he is aged 30-45, with a job, but also some free time on his hands, and that he holds no grudge against the victims, killing them for reasons still unknown. As the story develops, more clues gradually surface to paint a picture regarding his personality and motives. Aside from Blake, other NPCs also manage to be relatively memorable, especially Shaun himself, but also his mother, the criminals Jayden and Blake arrest, the millionaire Charles Kramer and his son, the police chief. The father-son relationship between Ethan and Shaun is quite fascinating, the challenge to choose the right actions to make Shaun happy with his father really adds to the player’s excitement. In most of my reviews, gameplay is the most elaborate section, but this one will make an exception. 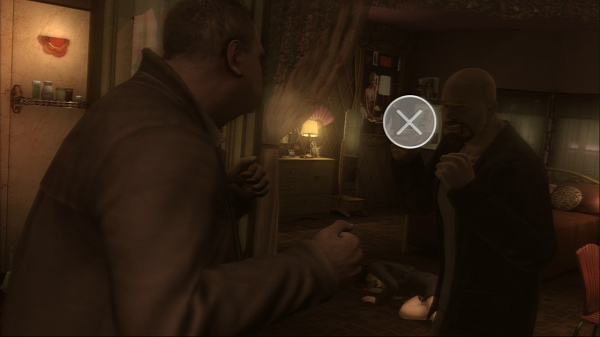 The gameplay in Heavy Rain mostly consists of QTE-like actions. Even when there is no time constraint, the character must move the stick, press a button or a combination of buttons in order to perform an action. And the button presses required usually kind of make sense in context. For instance, to open a door, you need to make a quarter-circle with the stick, kind of like the motion of your hand when you open a door. The Sixaxis motion sensor is also utilised, for instance, if you want to pull a window upwards, but it’s a bit stuck, you need to lift the controller up quickly. While there are, of course, more complex sequences where you just have to press buttons and you don’t always see the real-life analogy, the fact that your movements make sense most of the time is just more comfortable than pressing a random button appearing on the screen like in a more recent Resident Evil game. Fights are an instance where quick reactions are required, the actions are fully QTE during those. Be late or press the wrong button, and you get hit, or your swing gets dodged. Fights aren’t patterned, though, each of them has its own, pre-written sequence of actions. If you do really badly during a fight or other dangerous sequence, it’s possible that your character dies. There is no “game over” notion in Heavy Rain, you just continue without the character you’ve lost. Needless to say, if you lose them all, you’ll get the worst ending. Aside from actions, there are also conversations and the ability to see what your character is thinking. You get to choose between several available options, a button represents each choice and you press the one you like. Sometimes, when your character is really under pressure, the very choices start trembling. While a cool touch that adds to the overall feeling of the game, that can also be a downside, as you can’t read all the options as well. Many times, these conversational choices are time-constrained, and, if you fail to provide an answer in a few seconds, a default one is picked for you (and it’s usually not the one you wanted). So you need to be careful there. Another thing that needs to be noted is Jayden’s high-tech gadget ARI, coming in the form of sunglasses, that let’s you gather evidence and examine it easily. It has a scan function on the crime scene – when activated, it detects nearby clues that you can then go and pick up. In Jayden’s office, you can use it again, this time to examine the evidence and try to make some deductions from it. When examining the clues, it also enables the user to choose a pseudo-environment to do his work in, transporting him immediately to a green forest, the sea bottom, or even Mars, in a virtual reality-like fashion. 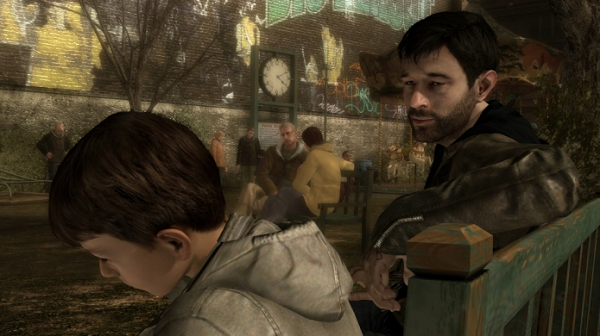 Aside from the very beginning, where things are sunny, much like Ethan Mars’ life at the time, the atmosphere in Heavy Rain is quite gloomy. Rain keeps falling constantly, in unison with the characters’ feelings. While a skeptic could say that it was an easy way to avoid the need to visualise different weather, the rain certainly contributes to shaping the player’s overall feelings and increases the immersion. Character models are also quite impressive with their detail, even less significant NPCs have had considerable work put into their models. Despite all that, and perhaps it’s because of the rain (and the respective relative lack of bright colours) again, but the game doesn’t manage to completely astonish the player visually like the Uncharteds can, the “Wow!” effect is not quite there (probably not enough explosions). Still, the visuals play their role into shaping the atmosphere quite well. The soundtrack is another aspect that matches the game’s ambition to be like a high-budget movie in terms of appearance. 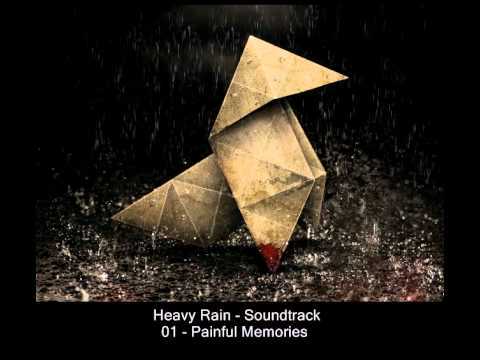 The orchestral music composed by Normand Corbeil, who’s worked on a number of movies (not to mention Quantic Dream’s previous project, Fahrenheit/Indigo Prophecy), contributes further to shape Heavy Rain’s game world. While there weren’t any themes that particularly stood out to me, most of them are quite pleasant to listen to. The one I’ve picked is a piano theme called “Painful Memories”, a variation of the main theme which was the most memorable piece to me. 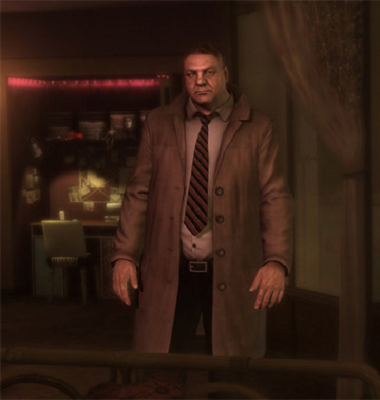 Heavy Rain can be classified as an adventure game, but it is quite unique. It even calls itself “interactive drama,” so, if you aren’t open to the idea and want something more traditional, perhaps it’s not for you. But even then, I’ll ask you to give it a shot. The story is truly gripping, I already mentioned that few games – and actually only Metal Gear Solid 4 and Mass Effect from the PS3/360/Wii generation – have managed to hold my attention so tightly. The characters feel very human, the mystery to solve is quite solid. 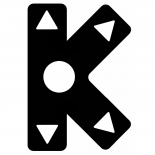 You will find yourself shaking that controller or mashing that button wildly in tight spots. It does not require particular skill, just quick thinking and reactions. It’s all about the emotional experience, the ability to see the game’s world through the characters’ eyes, to get into their skin and make their decisions. Having sold more than 2 million copies already, it will perhaps pave the way for this movie-like, but still really interactive, game genre. The multitude of endings depending entirely on your actions add a level of depth and variety no movie could ever dream of achieving. 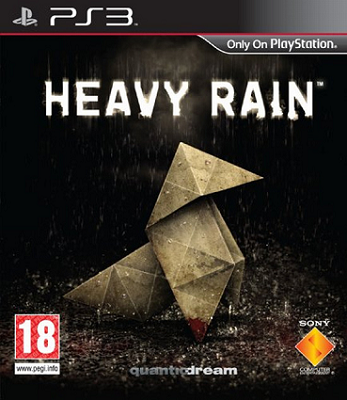 Seeing as I am a big supporter of games with strong stories and characters, Heavy Rain receives my seal of approval. Hopefully more games in the future achieve such magnitude of their stories, and I am really looking forward to Beyond: Two Souls, Quantic Dream’s next project.